Experience the fellowship of communal dance with instructors Laura Chiaramonte and Kate Insolia of Dance at Illinois. If you or a loved one is living with Parkinson’s, join us to explore gentle movement in a safe, welcoming environment. This session will feature guest instructors from the Mark Morris Dance Group. Set to uplifting, familiar music, this monthly class lasts approximately an hour and a half and may assist with the preservation and improvement of balance, flexibility, and strength. Please dress comfortably for this full-body workshop. Parking in the Krannert Center garages is free after 5pm on weekdays, and all day on weekends. A limited number of metered spaces are located on every level of the underground garage (15 minutes for 25¢). Additional metered spaces are on each street surrounding the Center. Spaces marked with the accessibility sign can be found on every level of the underground garages. Metered spaces require payment unless you have a meter-exempt hangtag or license plate. 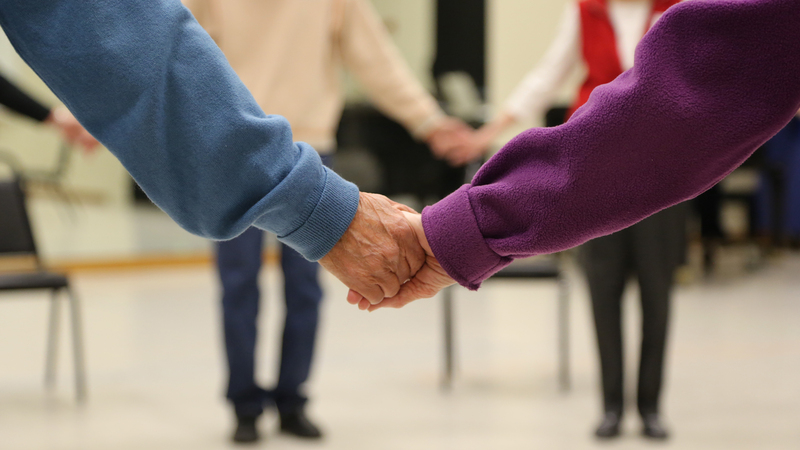 This workshop was developed by the Mark Morris Dance Group, the Unity Parkinson’s Disease Support Group, Carle Clinic, Dance at Illinois, and Krannert Center. In celebration of Krannert Center’s 50th anniversary, give today to the Access for All Two-Season Challenge to ensure everyone can have access to the arts.